A roofed shelving unit designed to last many years. For permanent, outside storage of 4 recycle boxes. 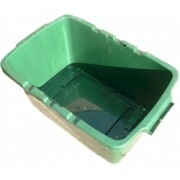 Ideal for the larger family or for additional waste separation. 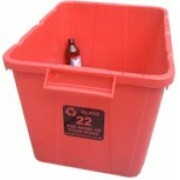 You might use this design to separate cans and plastics in the top boxes, paper and bottles in the bottom boxes. 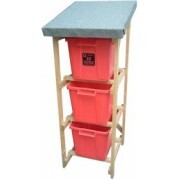 We find this system does not need box lids, but you can certainly add lids as required. Made from renewable (FSC sourced), treated timber. Stainless steel staples fix the roofing felt. 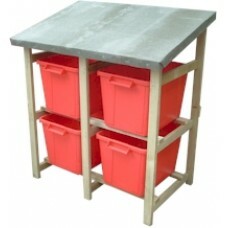 Boxes, lids and dividers purchased separately. We are continually improving our products. Therefore please note that products may vary slightly from the pictures you see here.